2007 Ford Focus S FWD Duratec 2.0L I4 DOHCLocated on Washington Blvd., We are just minutes from Beverly Hills, Los Angeles, Santa Monica, Torrance and North Hollywood. Recent Arrival!Why Choose Culver City Honda - we choose volume sales over large profit margins! Our Certified Pre-Owned Honda s and every Pre-Owned vehicle passes inspection or we don't sell it!! Our Service Department is filled with Honda Factory Trained Technicians who care, our Parts Department is fully stocked, we offer a free shuttle during your service, free Wi-Fi in our Customer Lounge. Print this page and call us now to schedule a test drive. We are open 7 Days a week and minutes away from Los Angeles and the Valley. Located on Culver Blvd. In between the 405 and 10 Freeway, minutes from Santa Monica, downtown Los Angeles, Beverly Hills, Torrance and close to the LAX airport. Garff founded his automotive business over 81 years ago in downtown Salt Lake upon principles of honesty, integrity, and personalized customer service. (888) 988 7545. Blue 2010 Mazda Mazda3 i Sport FWD 5-Speed Automatic 2.0L 4-Cylinder SMPI DOHCLocated on Washington Blvd., We are just minutes from Beverly Hills, Los Angeles, Santa Monica, Torrance and North Hollywood. Recent Arrival! Odometer is 38138 miles below market average! 24/33 City/Highway MPGAwards: * 2010 KBB.com Top 10 Coolest New Cars Under $18,000Why Choose Culver City Honda - we choose volume sales over large profit margins! Our Certified Pre-Owned Honda s and every Pre-Owned vehicle passes inspection or we don't sell it!! Our Service Department is filled with Honda Factory Trained Technicians who care, our Parts Department is fully stocked, we offer a free shuttle during your service, free Wi-Fi in our Customer Lounge. Print this page and call us now to schedule a test drive. We are open 7 Days a week and minutes away from Los Angeles and the Valley. Located on Culver Blvd. In between the 405 and 10 Freeway, minutes from Santa Monica, downtown Los Angeles, Beverly Hills, Torrance and close to the LAX airport. Garff founded his automotive business over 81 years ago in downtown Salt Lake upon principles of honesty, integrity, and personalized customer service. (888) 988 7545. 2013 Volkswagen Jetta 2.0L S FWD 6-Speed Automatic 2.0L 4-Cylinder Cloth.Located on Washington Blvd., We are just minutes from Beverly Hills, Los Angeles, Santa Monica, Torrance and North Hollywood. Recent Arrival! 23/29 City/Highway MPGWhy Choose Culver City Honda - we choose volume sales over large profit margins! Our Certified Pre-Owned Honda s and every Pre-Owned vehicle passes inspection or we don't sell it!! Our Service Department is filled with Honda Factory Trained Technicians who care, our Parts Department is fully stocked, we offer a free shuttle during your service, free Wi-Fi in our Customer Lounge. Print this page and call us now to schedule a test drive. We are open 7 Days a week and minutes away from Los Angeles and the Valley. Located on Culver Blvd. In between the 405 and 10 Freeway, minutes from Santa Monica, downtown Los Angeles, Beverly Hills, Torrance and close to the LAX airport. Garff founded his automotive business over 81 years ago in downtown Salt Lake upon principles of honesty, integrity, and personalized customer service. (888) 988 7545. Gun Metallic 2016 Nissan Sentra S FWD CVT with Xtronic 1.8L 4-Cylinder DOHC 16V CVT with Xtronic, charcoal Cloth.Located on Washington Blvd., We are just minutes from Beverly Hills, Los Angeles, Santa Monica, Torrance and North Hollywood. Recent Arrival! 29/38 City/Highway MPGWhy Choose Culver City Honda - we choose volume sales over large profit margins! Our Certified Pre-Owned Honda s and every Pre-Owned vehicle passes inspection or we don't sell it!! Our Service Department is filled with Honda Factory Trained Technicians who care, our Parts Department is fully stocked, we offer a free shuttle during your service, free Wi-Fi in our Customer Lounge. Print this page and call us now to schedule a test drive. We are open 7 Days a week and minutes away from Los Angeles and the Valley. Located on Culver Blvd. In between the 405 and 10 Freeway, minutes from Santa Monica, downtown Los Angeles, Beverly Hills, Torrance and close to the LAX airport. Garff founded his automotive business over 81 years ago in downtown Salt Lake upon principles of honesty, integrity, and personalized customer service. (888) 988 7545. White 2015 Nissan Altima 2.5 S FWD CVT with Xtronic 2.5L I4 DOHC 16V CVT with Xtronic.Located on Washington Blvd., We are just minutes from Beverly Hills, Los Angeles, Santa Monica, Torrance and North Hollywood. Recent Arrival! 27/38 City/Highway MPGAwards: * 2015 KBB.com 10 Best Sedans Under $25,000 * 2015 KBB.com 10 Best UberX CandidatesWhy Choose Culver City Honda - we choose volume sales over large profit margins! Our Certified Pre-Owned Honda s and every Pre-Owned vehicle passes inspection or we don't sell it!! Our Service Department is filled with Honda Factory Trained Technicians who care, our Parts Department is fully stocked, we offer a free shuttle during your service, free Wi-Fi in our Customer Lounge. Print this page and call us now to schedule a test drive. We are open 7 Days a week and minutes away from Los Angeles and the Valley. Located on Culver Blvd. In between the 405 and 10 Freeway, minutes from Santa Monica, downtown Los Angeles, Beverly Hills, Torrance and close to the LAX airport. Garff founded his automotive business over 81 years ago in downtown Salt Lake upon principles of honesty, integrity, and personalized customer service. (888) 988 7545. Gray 2014 Volkswagen Beetle 2.5L FWD 6-Speed Automatic 2.5L 170 hpLocated on Washington Blvd., We are just minutes from Beverly Hills, Los Angeles, Santa Monica, Torrance and North Hollywood. Recent Arrival! 22/29 City/Highway MPGWhy Choose Culver City Honda - we choose volume sales over large profit margins! Our Certified Pre-Owned Honda s and every Pre-Owned vehicle passes inspection or we don't sell it!! Our Service Department is filled with Honda Factory Trained Technicians who care, our Parts Department is fully stocked, we offer a free shuttle during your service, free Wi-Fi in our Customer Lounge. Print this page and call us now to schedule a test drive. We are open 7 Days a week and minutes away from Los Angeles and the Valley. Located on Culver Blvd. In between the 405 and 10 Freeway, minutes from Santa Monica, downtown Los Angeles, Beverly Hills, Torrance and close to the LAX airport. Garff founded his automotive business over 81 years ago in downtown Salt Lake upon principles of honesty, integrity, and personalized customer service. (888) 988 7545. Gray 2016 Honda Civic LX FWD CVT 2.0L I4 DOHC 16V i-VTEC CARFAX ONE OWNER, Honda CERTIFIED! 7 YEARS/100K POWERTRAIN WARRANTY!, Cloth.Located on Washington Blvd., We are just minutes from Beverly Hills, Los Angeles, Santa Monica, Torrance and North Hollywood. Recent Arrival! 31/41 City/Highway MPGAwards: * 2016 IIHS Top Safety Pick+ (When equipped with honda sensing) * NACTOY 2016 North American Car of the Year * 2016 KBB.com Brand Image Awards2016 Kelley Blue Book Brand Image Awards are based on the Brand Watch(tm) study from Kelley Blue Book Market Intelligence. Award calculated among non-luxury shoppers. For more information, visit www.kbb.com. Kelley Blue Book is a registered trademark of Kelley Blue Book Co., Inc.Why Choose Culver City Honda - we choose volume sales over large profit margins! Our Certified Pre-Owned Honda s and every Pre-Owned vehicle passes inspection or we don't sell it!! Our Service Department is filled with Honda Factory Trained Technicians who care, our Parts Department is fully stocked, we offer a free shuttle during your service, free Wi-Fi in our Customer Lounge. Print this page and call us now to schedule a test drive. We are open 7 Days a week and minutes away from Los Angeles and the Valley. Located on Culver Blvd. In between the 405 and 10 Freeway, minutes from Santa Monica, downtown Los Angeles, Beverly Hills, Torrance and close to the LAX airport. Garff founded his automotive business over 81 years ago in downtown Salt Lake upon principles of honesty, integrity, and personalized customer service. (888) 988 7545. Gray 2012 Toyota Camry XLE FWD 6-Speed Automatic 2.5L I4 SMPI DOHC Cloth.Located on Washington Blvd., We are just minutes from Beverly Hills, Los Angeles, Santa Monica, Torrance and North Hollywood. Recent Arrival! 25/35 City/Highway MPGAwards: * 2012 KBB.com 10 Best Sedans Under $25,000 * 2012 KBB.com 10 Most Comfortable Cars Under $30,000 * 2012 KBB.com Best Resale Value AwardsWhy Choose Culver City Honda - we choose volume sales over large profit margins! Our Certified Pre-Owned Honda s and every Pre-Owned vehicle passes inspection or we don't sell it!! Our Service Department is filled with Honda Factory Trained Technicians who care, our Parts Department is fully stocked, we offer a free shuttle during your service, free Wi-Fi in our Customer Lounge. Print this page and call us now to schedule a test drive. We are open 7 Days a week and minutes away from Los Angeles and the Valley. Located on Culver Blvd. In between the 405 and 10 Freeway, minutes from Santa Monica, downtown Los Angeles, Beverly Hills, Torrance and close to the LAX airport. Garff founded his automotive business over 81 years ago in downtown Salt Lake upon principles of honesty, integrity, and personalized customer service. (888) 988 7545. 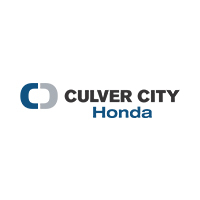 ¿Culver City Honda proporciona financiamiento? ¡Sí! Nuestro personal de finanzas trabaja arduamente para ayudar a cada uno de nuestros clientes a obtener el financiamiento que necesitan cuando compran o arriendan un auto, camioneta, SUV o minivan Honda nuevos. Si tiene buen crédito, mal crédito o no tiene crédito, nuestro equipo trabajará con usted para obtener el préstamo para automóvil que se adapte a su situación. Nuestra aplicación de financiamiento seguro puede ayudarlo a comenzar. ¿Cómo puedo prepararme mejor para comprar o arrendar un vehículo Honda nuevo antes de ir a Culver City Honda? Si tiene un vehículo que planea usar para un intercambio, puede usar nuestra herramienta de oferta instantánea de efectivo de KBB. Esto le dará una oferta canjeable por su vehículo actual. Si desea obtener más información sobre los pagos mensuales, puede utilizar nuestra calculadora de pagos flexible para calcular sus pagos mensuales basados en cosas como el monto de su pago inicial y la tasa de interés del préstamo. ¿Cuándo puedo pasar y revisar un vehículo en el que estoy interesado? Puede venir en cualquier momento durante nuestras horas de trabajo a nuestro concesionario en Washington Boulevard en Culver City. Si hay un vehículo específico en el que está interesado, le recomendamos que programe una prueba de manejo. Estamos a una corta distancia en automóvil de Santa Mónica, Inglewood, Huntington Park, Glendale y el área metropolitana de Los Ángeles, ¡así que visítanos para consultar nuestro inventario!